C22 to C34 0.1 uF (104) disc capacitors. Approximately half of these capacitors tested within 20% of designated value, the rest within 50% of designated value. One capacitor was 0.028 uF. All these capacitors were replaced with quality ceramic components testing within 10% or better of designated value. C25 and C26: these are apparently the same capacitor. Documentation inconsistency between versions? C13 to C21: 0.01 uF (103) disc capacitors. Less than half were within 20% so I replaced them all with good ceramic capacitors. C35: 470 pF is necessary to prevent oscillation in the NE5532. Put it in. 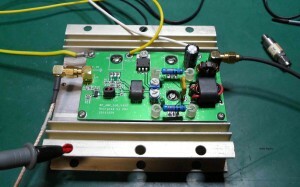 Install the 100 pF capacitor located on the edge of the board between W2 and U3. Y1, Y2, Y3: I used DIP header pins on the board and soldered the crystals to DIP sockets. Cut strips of 3 pins each and remove the center pin for the header on the board. This arrangement will permit you to QSY to 7.030 / 7.040 when you find some appropriate crystals. I found 7.0375 crystals in the same holder at US$0.10 each from Tayda Electronics and they should arrive in the mail any day now. The pins will also let you painlessly try the VFO/DDS mod as per the March 2016 QST article pp 39-44. 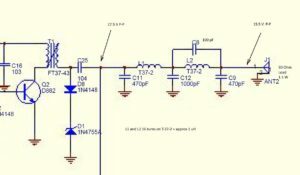 R2, R3: The schematic states that 1 W resistors should be used however 1/4W resistors are supplied. 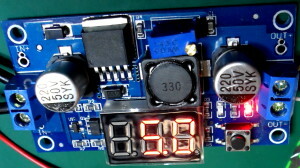 R3 is in series with the emitter lead of the 8050 driver transistor. I looked up the specs on this transistor and it can handle sufficient current to fry a ¼ W resistor. I didn’t have a 1 W 22 ohm resistor in my parts so I used a 2W resistor. It protrudes a bit but fits. DO NOT use a wire wound resistor for R3 . I check inductance of the resistor before using it. For R2 I found a 1/2W 22 ohm resistor to substitute but I am not convinced it is necessary. Electrolytic capacitors: The BoM shows 16V electrolytics. My kit supplied 25V capacitors. I strongly recommend that you do not use 16V units with a 12V (13.6V) supply. D3: I have used the 1N4001 as a varicap however I also once wasted several hours troubleshooting because a 1N4001 diode somehow prevented crystal oscillation. I found that a BB221 varicap works well so that is what I used. L1 and L2: My toroid calculator gives a value of 1 uH for 16 turns on a T37-2 form. The photo in the Engrish instructions shows 17 turns. The LPF is not working well for me as I am seeing a drop of about 12 V P-P between the input and output sides of the filter section. I used tested capacitors, within 2% of given value, in the filter. If anyone knows how to calculate the optimum values for L1, L2 please send me an email (QRZ.com). 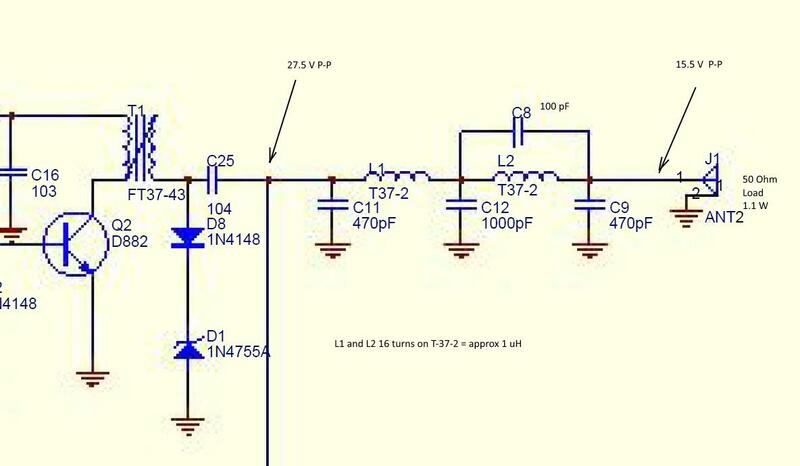 LEDs: the long lead goes into the square pad. I used the green LED for receive and the red LED for transmit. For the initial smoke test, after connecting a dummy load to the antenna terminals, I put a 10 ohm 5W resistor in series with the supply. Current draw through the 10 ohm resistor was 85 mA. I am getting 1.1 watts out into a calibrated watt meter using a 12 V battery as a supply. As mentioned above, there is definitely a problem with my LPF. 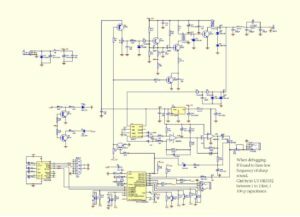 Once I get the LPF issue sorted out and up the supply voltage from my 13.6V buss, I expect to see several watts RMS out. I used a USB to RS232 cable to connect the Rock Mite to my computer after finding the English version of the software. The software definitely does something but needs further research. 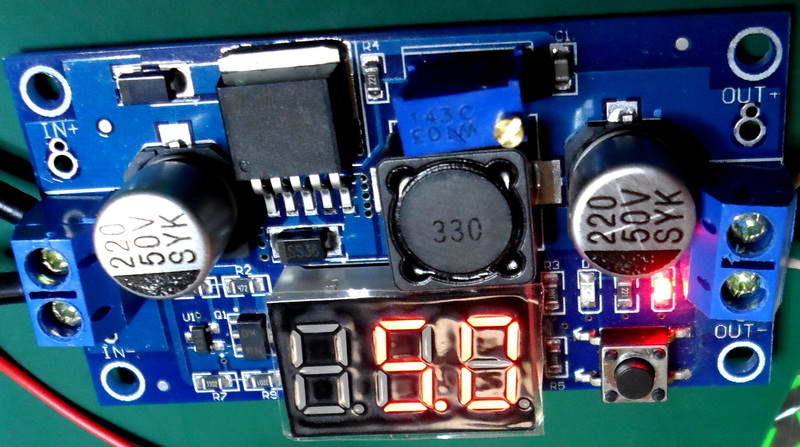 Who designs a board with an RS232 interface in 2016? I was lucky my patch cable worked. On the air: I received reports of clean keying from several hams within 100Km. A CQ in the evening brought a prompt response from Europe. The QSK works fine. My straight key was recognized after sending a few V’s. The side tone leaves room for improvement. 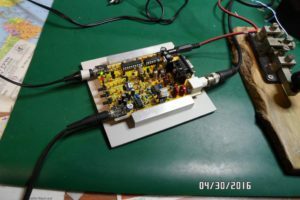 I connected the audio out through a small digital audio amplifier module. I am confident that a good CW operator could fill his logbook using this transceiver. For the rest of us I suggest working stations within a few hundred Km during daylight hours – the large number of stations heard concurrently after dark overwhelm my ability to sort out signals by tone. 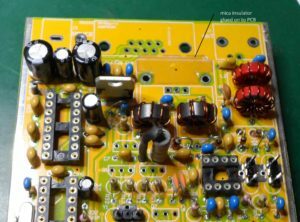 The PCB layout shows some thought and some nice features. It was designed without mounting holes made to slide into a ready-made case. As may be seen on the photos I had a groove machined into some aluminum bar stock to hold the PCB. This kit fails its “ISO9002 audit” because of the “instructions” and the poor quality of the disc capacitors supplied. Google does a terrible job translating Mandarin to English. We have a new volunteer for the Monday evening net controller. Thanks to Maria VA6TFL for your willingness to help with the net. Any other volunteers would be welcomed to add to the list. Thanks to the five other net controllers for taking your turn. 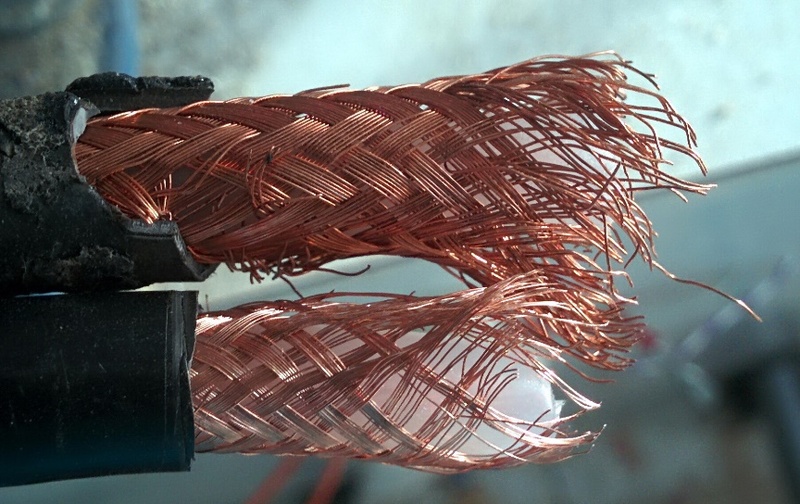 Is your coax genuine M17/74 or generic RG-213? 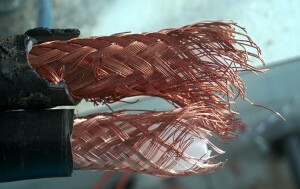 An informative article on specifications for coaxial cable. Download the article by clicking on the link below. A newer version of the instructions incorporating corrections and suggestions from proof readers. Thanks to K9HZ, KE7HR and ON7AN for their help with this project. Any errors are mine. Use at your own risk. Comments, corrections and suggestions most welcome. I just finished building this kit that I bought online (link above). In my opinion it meets the main requirements of a kit for hams: 1) cheap 2) fun to build 3) it actually works. So what’s the catch? The instructions are either in Mandarin Chinese or in Google Translate English. Amusing to read but difficult to follow. So with lots of cogitation, head scratching, questions to several other hams, and the assistance of the boffins at Bletchley Park we are offering CAARC website readers a decrypted version of the kit instructions. The first paragraphs are given below as a “teaser”. These instructions are my attempt to put the “manual” supplied for download on the seller’s website into more conventional English. They are based primarily on the “RF‐AMP‐2078 debug instructor V303” (sic) downloaded from the website. You will note that the schematic is dated 5 August, the BoM sometime in September and the PCB is marked “20151229”. I found more than a dozen inconsistencies in values and markings between the PCB and the documents. Also there appear to be several “typos” on the PCB silk screening. 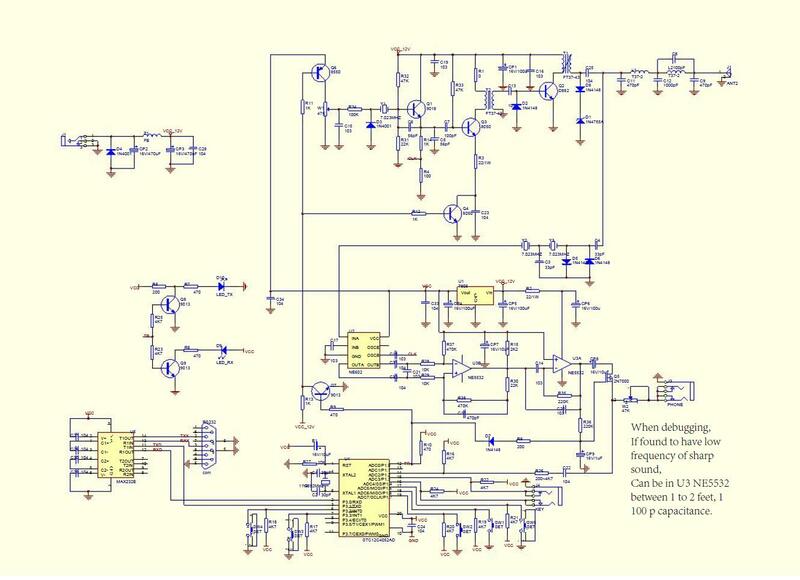 I have endeavored to sort this out and update my documentation to match the PCB supplied with the kit. 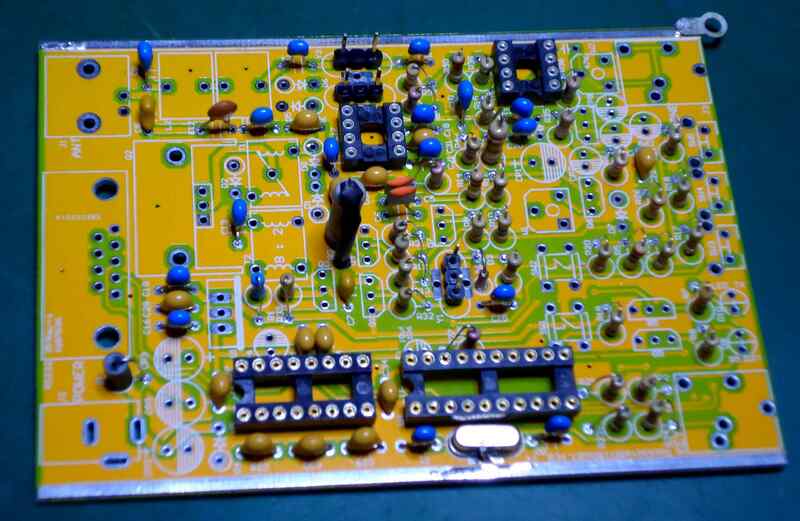 It is no doubt feasible for an experienced builder to successfully assemble the kit using only the schematic and the silk screening on the PCB. 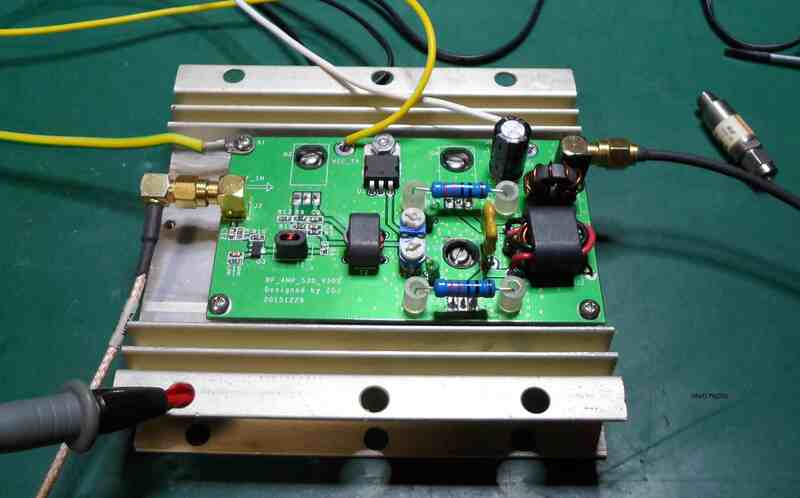 My objective is to make this inexpensive kit available to a wider audience of radio amateurs, who may feel less confident about building their first MOFET PA without some additional guidance. Anyone who does not have previous experience soldering the small SMD parts used in this kit is advised to practice first. A pdf file with the complete instructions will be linked to this post within the next few days. Watch this space. 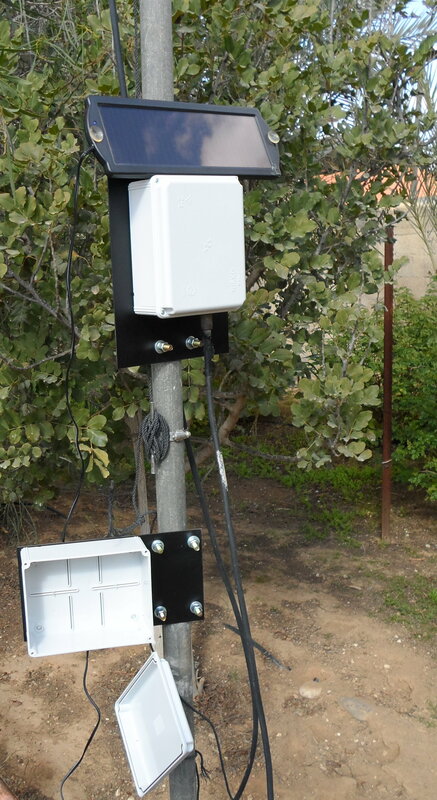 The objective of this project was to create an independent WSPR beacon transmitter. As such it should operate completely independently – no computer in the shack, no internet time server and no power from the grid. I found that a U3S kit + GPS kit both from QRP Labs met my requirements for a transmitter with internal controller, GPS disciplined frequency synthesizer and GPS timing. WSPR operates on 2 minute time segments and timing must be accurate to a very few seconds or no one will be able to decode your transmission. Similarly the frequency band for WSPR signals is only a few hundred Hz wide, so if your frequency is not exact; no reception. After getting the transmitter and GPS to work successfully inside the shack, I started my quest for independent power. 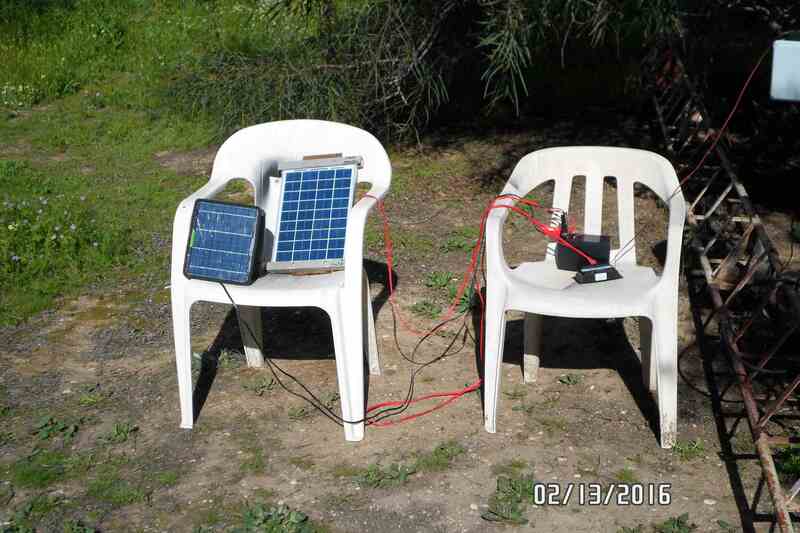 I started with a 5W solar panel and a 7 AH gel cell battery. The 12V battery voltage is knocked down to 5 V for the transmitter using a low cost buck regulator module (internet shopping). 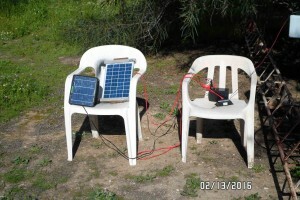 In the photo above, the smaller 5W solar panel is shown on the left hand chair next to the newer 10W panel that eventually came in the mail. The charge regulator is on the right hand chair just in front of the battery. This arrangement was almost good enough so I sprung for a larger, 12 AH battery. 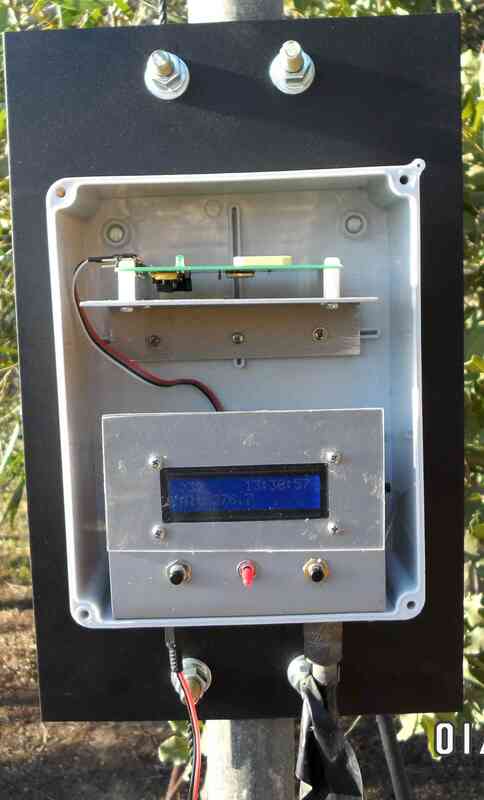 The 10 W panel and the 12 AH battery easily carried the transmitter through the night until the morning sun could re-start the charge cycle. 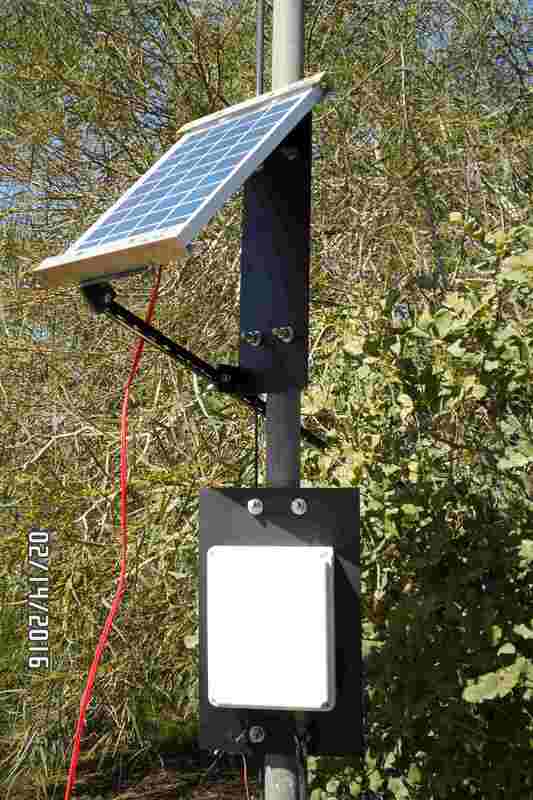 So it was time to fabricate a bracket that would hold the solar panel on the mast. I wanted the bracket to be adjustable so I put a leaf hinge at the top. 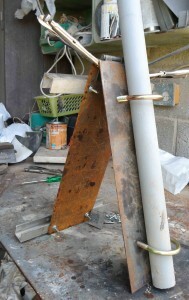 The mounting holds the panel at an angle by moving the support arm from one hole to another. A position for any season. I used 2 mm mild steel plate for the bracket. The solar panel is held in place by aluminum U channel that was left over from my main antenna tower project. I believe that suitable aluminum profiles should be available from any aluminum window manufacturer. 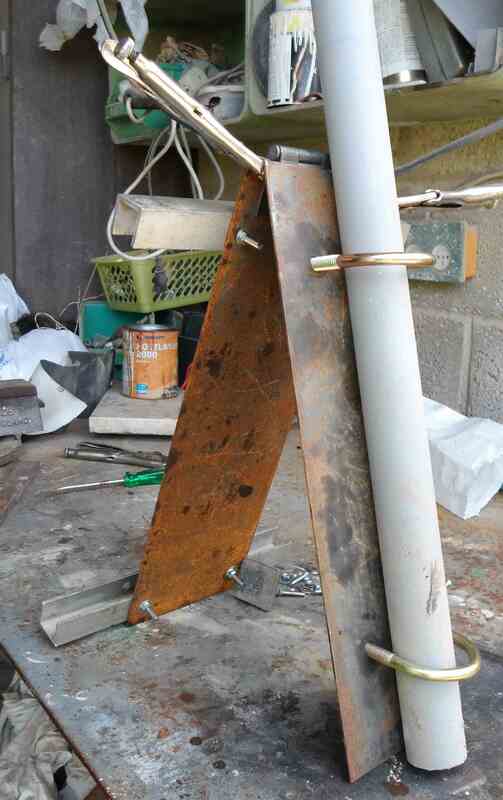 I took considerable care positioning the plates and the hinge before welding it together. After I cleaned up my welds and removed as much rust as possible from the plates I gave them a coat of galvanizing spray followed by blac k enamel spray. I originally intended putting the gel cell battery in the lower PVC box. After I determined that I needed a larger capacity battery I used this box for the charge controller and the 5 V buck regulator. The 1.8W Canadian Tire panel shown on the right was not used in the final system. The 12 AH battery is sitting on the ground inside a plastic box from the Dollar Store and weighted down with a brick. I will eventually get round to something more elegant, but it does work. The whole system has been up and running 24/7 for some days now and appears stable. Select the 30m map and a time period of 30 minutes. Click on any station call sign to see who is hearing who. I wish to nominate Garry Naylor VE6FGN for Alberta Director. A Garry with two R’s, how can you go wrong? Good day- Garry, VE6FGN here. I’m a Husband, father, and most importantly a grand father. I joined the Canadian Army in 1977 as a tank driver, was injured in the early 90’s and became an air traffic controller. One of my secondary duties was to handle emergencies on the Wing. I became interested in Amateur Radio in 2004, when Alberta Amateurs assisted us at an airshow. I was extremely impressed with these volunteers, and decided that when I retired I would become involved. In 2005 I was medically released and found work in the Cold Lake area. I joined the local club and earned my Basic with honours. I joined solely to volunteer for my community, however I was surprised to find I really enjoyed the hobby, and the people in our club. I’ve met a bunch of Amateurs in other clubs, learned a lot from them, and enjoyed their company. I really enjoy supporting local events- from Marathons to kid’s runs to ATV rallies- all are great fun, and great training for ARES. I’m currently serving as the ARES EC for Cold Lake, and am a past president of our club. I’ll be honest here- I’m not really big on being the big cheese. A lot of what has happened in big organizations doesn’t impress me- and I think a lot of the problem is too many people want to be the big cheese. If you choose me to represent Alberta Amateurs to RAC, I’ll do the best I can, but you’ll have to do your part. Let me know what you think is wrong, give me some options on how you want to see it done, and I’ll fight on your behalf. I will identify one thing I want to see change- and that is how we all get along together. If you elect me, I intend on travelling and meeting as many of you as I can. My message will be simple- don’t take this too seriously: we’re amateurs, this is all about enjoying the hobby, and providing a public service when necessary (and getting out of the way when it’s not). I’ll encourage everyone to get on the air: ragchew, Dx, check in to Nets, foxhunt, whatever- thing is to do it, have fun, learn a lot, and enjoy each other’s company. 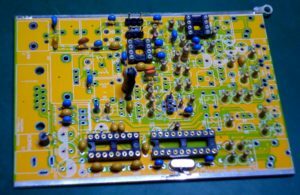 A whole range of small regulator boards or modules are available from your favorite on-line shopping sites for very little money. I gave the most recently arrived unit a quick once over. The on board voltmeter is fairly accurate but if you need to adjust voltage exactly I suggest a good multi-meter. 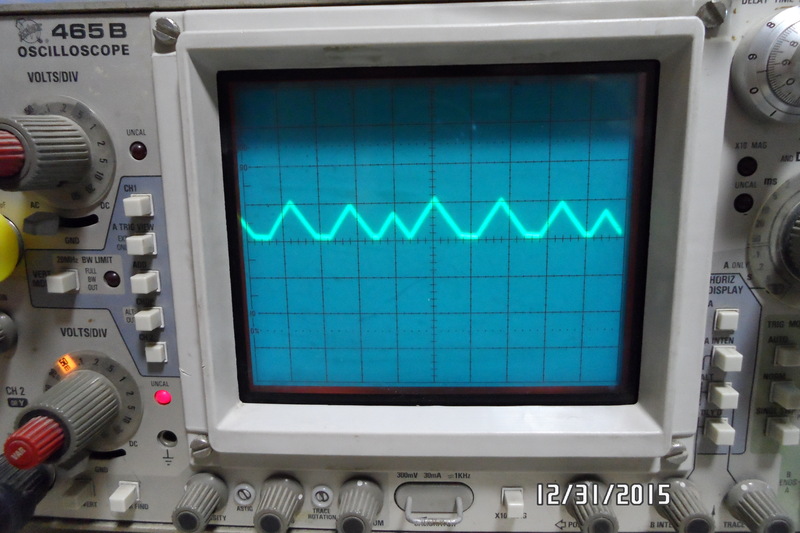 I measured quiescent current at 25 mA (compared to 5 mA with a 7805). 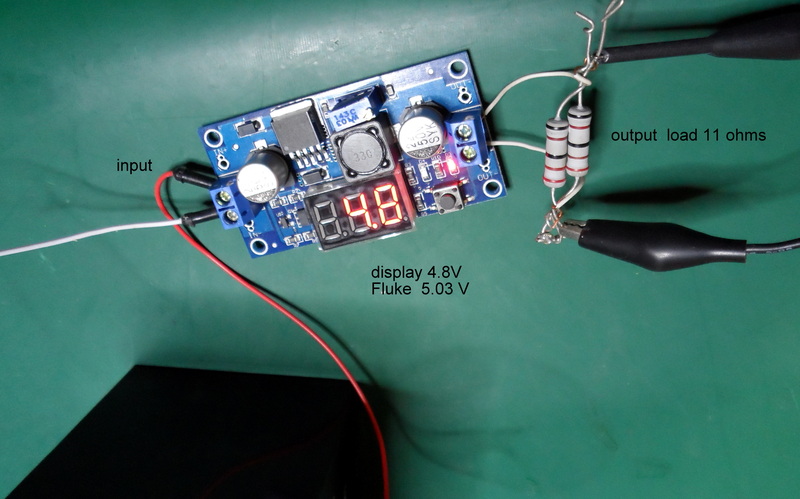 Voltage regulation was good; switching an 11 ohm load at 5 volts did not result in a noticeable drop. The regulator IC stayed cold – at least until the load resistors started smoking. I put my scope across the load and found an interesting [Eastern Rockies] waveform about 0.5 V at 10 KHz. There is one 220 uF electrolytic across the output. The scope suggests that some additional output filtering is in order. All in all a useful piece of kit for only a very few dollars.